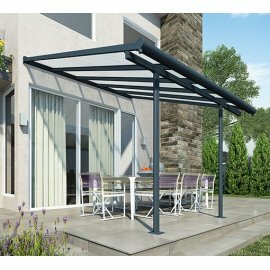 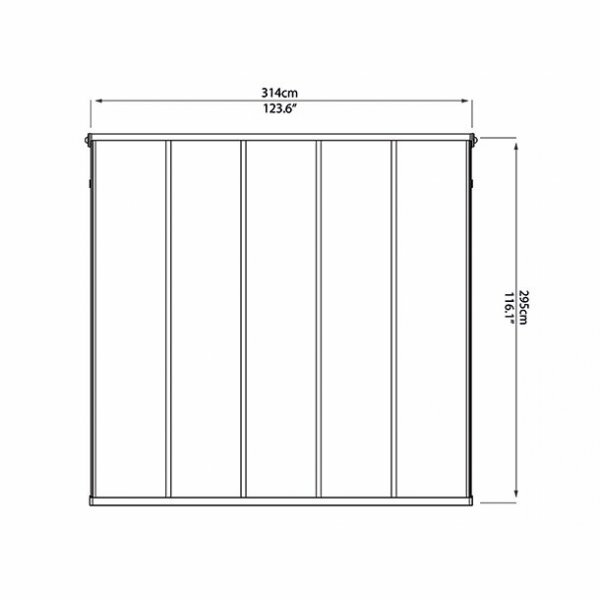 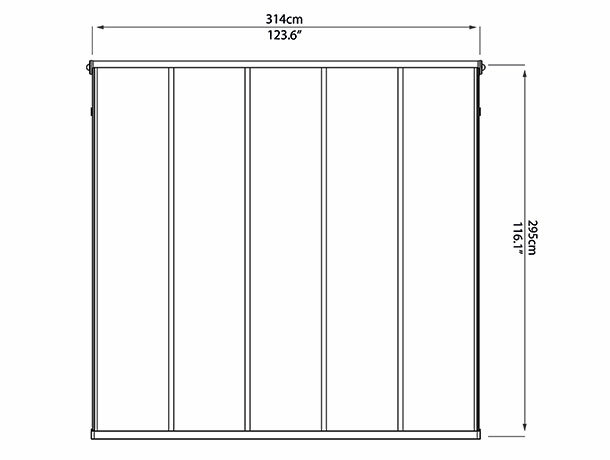 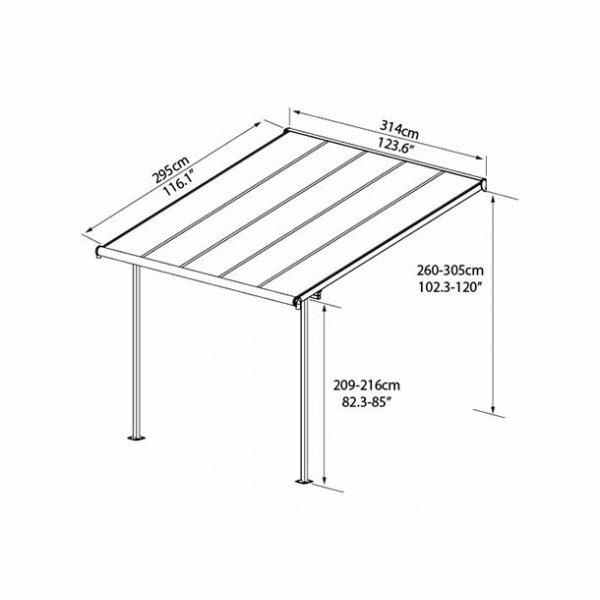 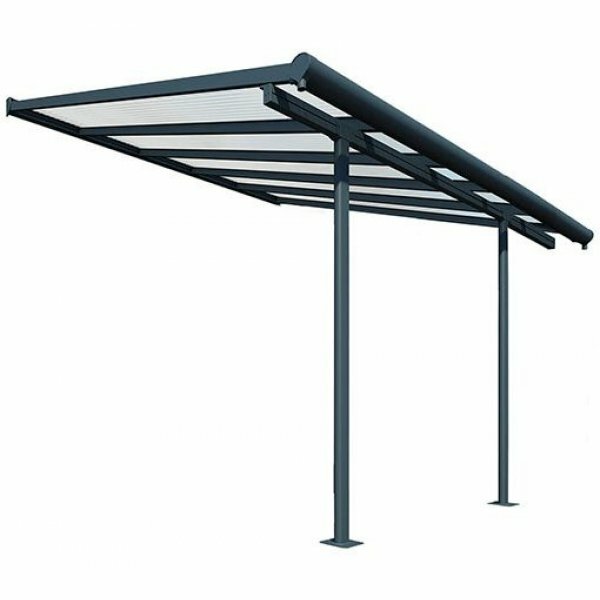 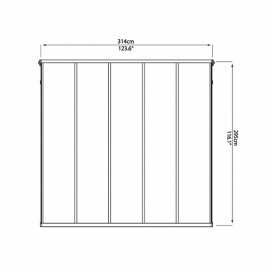 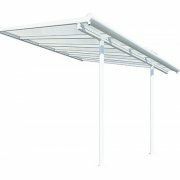 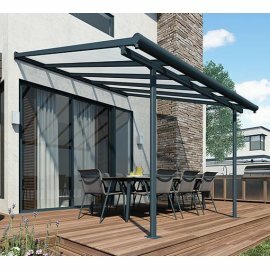 The Sierra Patio Cover in Grey and Clear polycarbonate enables you to luxuriate in your outdoor space year-round, a stylishly crafted sturdy addition to your outdoor living space. 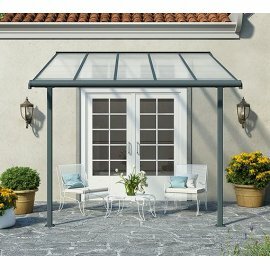 Enjoy family get-togethers and cookouts without fearing the fickle weather will ruin your fun. 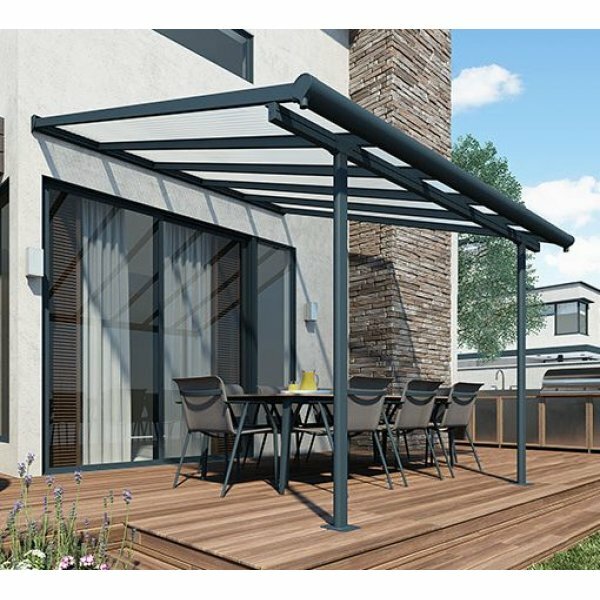 The Sierra is an aesthetic, multi-purpose, maintenance free roofing solution allowing for various outdoor uses such as a balcony or patio cover etc. 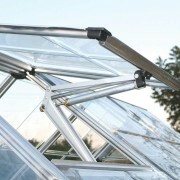 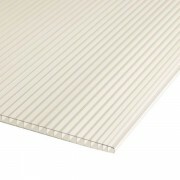 It was designed to be simply assembled by 2 people; it requires no experience, no special skills and no special tools. 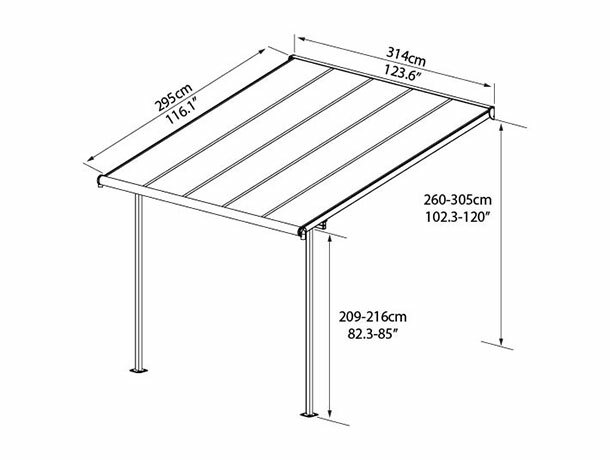 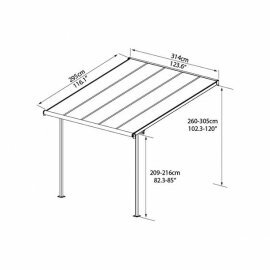 The Sierra pergola provides your family with an elegant, sturdy and rust-free retreat for years to come.